Gotta Fish lodging is not big and fancy. We don’t serve gourmet meals. We don’t have a hot tub. Heck, we don’t even have televisions! 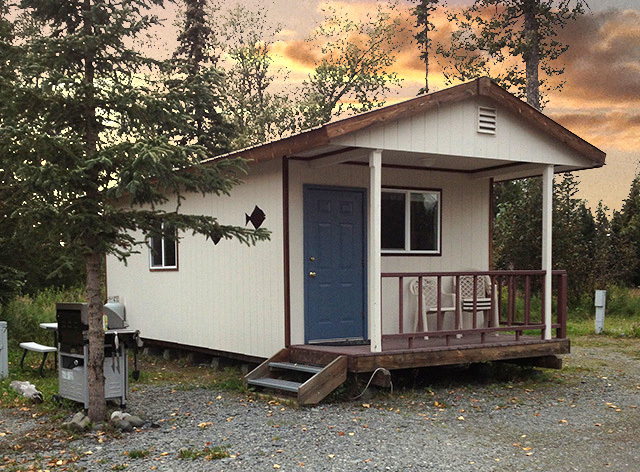 What we do have is affordable, clean, relaxing lodging away from the highway but right near the village of Ninilchik. Our facilities are not rustic Alaskan bush camping, nor are we a 5 star hotel. 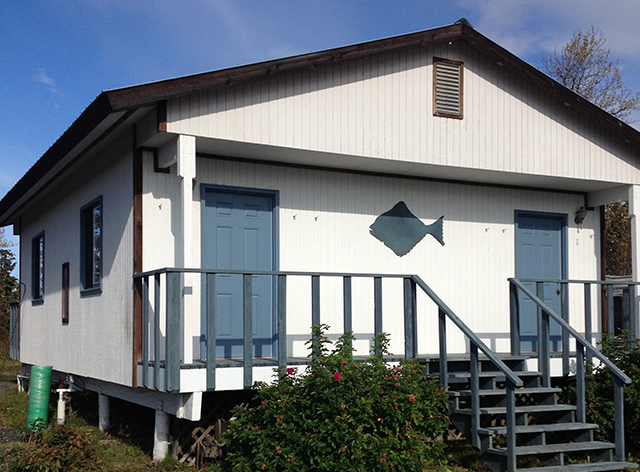 Instead, we offer quality, comfortable lodging built with the fisherman in mind. WiFi is accessible throughout the facility. Washers and dryers are available for a modest fee. Towards the back of camp is a common area for everyone to enjoy and includes a large gas bar-b-que, campfire and firewood, picnic tables and a covered area. A great way to relax in the evenings and tell lies about your fishing excursions! Gotta Fish encourages a help yourself, be yourself, fun filled, relaxed atmosphere. Designed for shorter stays and economy, the Inn has 4 rooms. 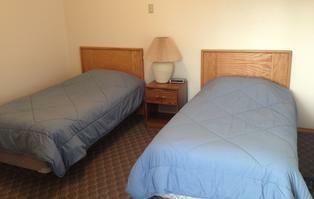 Each room is equipped with heaters, coffee, very comfortable twin beds (one room has a single queen) and a half bath. Our shower house is located a few steps away. Quiet, clean, comfortable. A great place to stay after a hard days fishing! Our cabin sleeps up to 3 guests and has a minimum stay requirement of 3 nights. It is fully equipped with a kitchen and dining area, coffee maker, full size refrigerator, microwave, and a full bath. All common cooking utensils and eating dishes are provided. It is heated throughout. A full size gas bar-b-que is located just outside along with a picnic table. Enjoy! 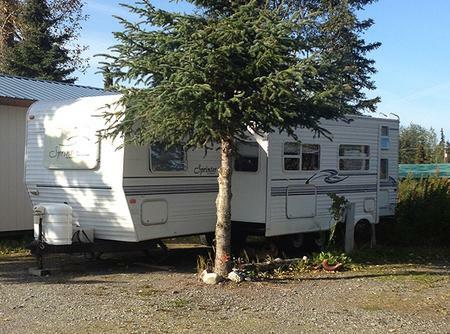 This travel trailer has an extremely comfortable queen bed in a front bedroom, and 4 bunk beds in the rear bedroom. Perfect for families or good friends! The inside is very spacious thanks to the large slide-out in the living room and dining area. The kitchen has a full size refrigerator, coffee maker, stove/oven and microwave. All common cooking utensils and eating dishes are provided. A full size gas bar-b-que is located just outside along with a picnic table. Fully functional and clean! A 3 night minimum stay is required. 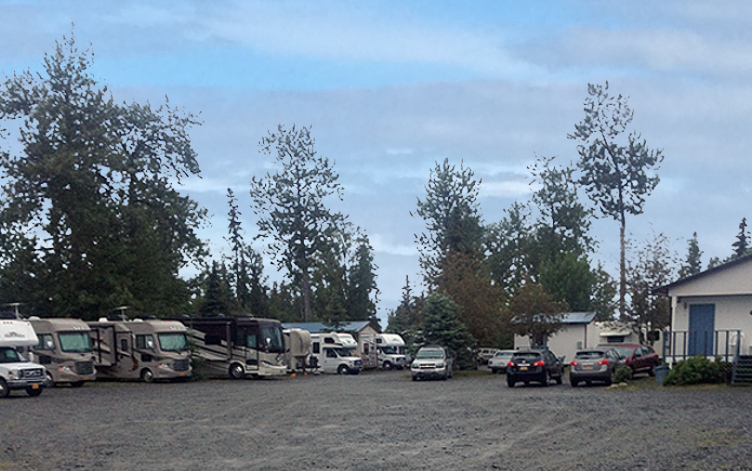 Our RV Park has 12 full hookup spaces that can accommodate just about any size RV. A covered barbecue and fire pit area are available for your use. This is not some giant RV park, just a small, clean, and friendly one. We have RV restrooms and laundry facilities for our RV guests. Along with access to fish cleaning and freezing facilities we offer a walk-in freezer which is perfect for the long-term guest who wants to store their catch.